I received an email from the band Madness of the Night telling me about a song they made for the Syrian revolution, it’s called Stand Up. It’s awesome! 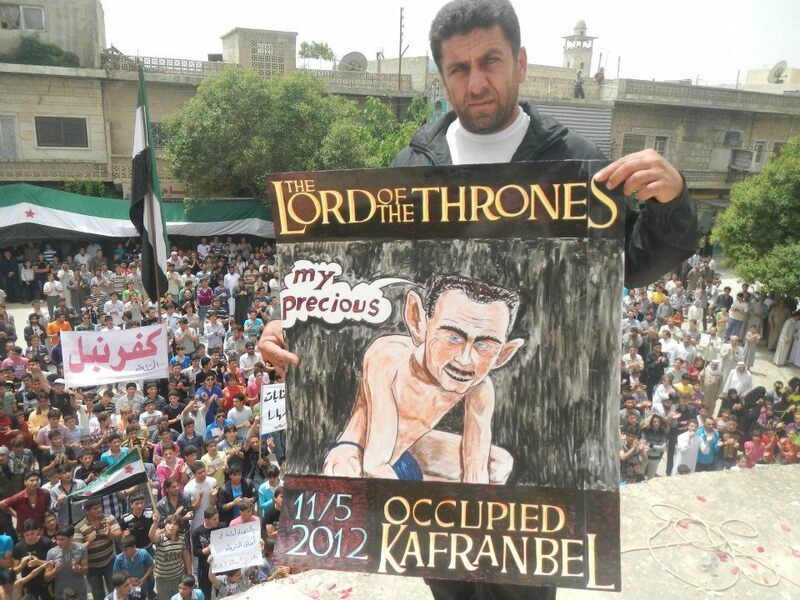 Thank you Madness of the Night for your support and solidarity with Syria’s revolutionaries. My second article for Arab Revolutions blog is now up! “With the start of a new academic year the regime has been emptying the schools from forced migrants. Where will those migrants who lost their homes go after regime shelled their cities and neighborhoods? You constantly feel helpless before these events. 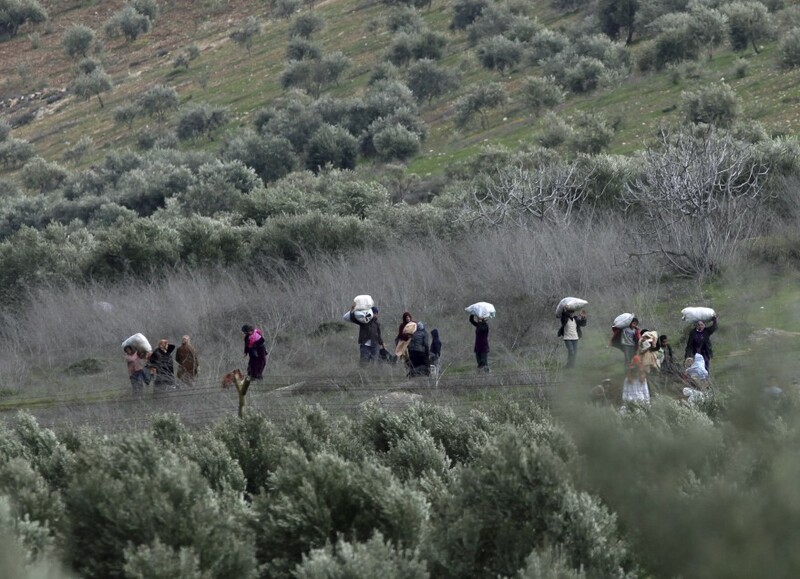 “We, the middle class, flourished during Assad’s era. We enjoyed new services, and we knew that our economic situation has gotten better, but only at the expense of the working class. The very people who are now leading the revolution are the ones who were neglected by the state. They lost their jobs and homes are scattered in gardens and schools depending on our aid: middle class aid. Our role in this revolution is completely different from theirs, we have privileges and a lot to lose; they don’t. We’re bunch of hypocrites.” Ruba leans her head back against the sofa and stares as water drops from the air-conditioning on her living room floor. Read rest of the article here. Check the French translation of the article available here and German translation here. Below is the article I wrote for Arab World in Revolutions’ blog on Monde Arabe Arte TV. 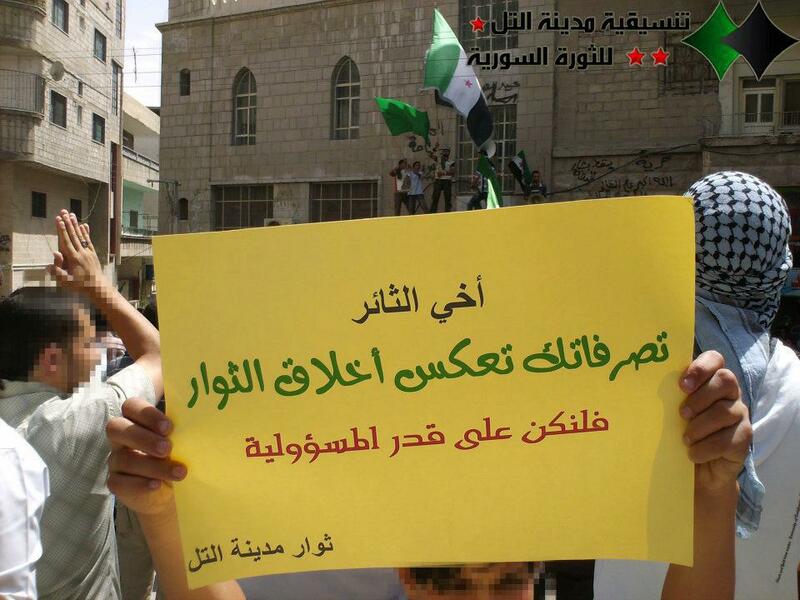 Text on Banner says: Dear Revolutionary, your actions reflect revolutionary morals, let’s act responsible. That is what my friend, Abu Abdalla, told me on Skype while I was having a fine evening in Damascus. I stopped drinking my tea; then he told me that his friends are trapped in his hometown Tal, just northwest of Damascus. On August 8th the Syrian National Council announced Al-Tal, a suburb of Damascus, to be a disaster city. The regime army besieged the city and cut water, electricity and communication supplies, including the internet. They started shelling it on Thursday August 9th and continued for weeks, which left more than 160 people dead. I asked Abu Abdulla if it is possible to set up a conference chat with his trapped friends inside Al-Tal, and so he did. I had the privilege to interview Qusai, Ashor, and “Renewed Hope” the following day. “Our city has been destroyed,” types Ashor, a relief activist and owner of a grocery store which has just opened now to secure food distribution for the besieged people who remain in the city. “In July last year,” he continues, “we distributed dates and water on regime forces, we organized a “Dignity Strike” in collaboration with shop keepers, we launched anti-sectarianism campaigns, we worked hard and we did an excellent job.” Ashor gives proudly examples of revolutionaries in Al-Tal, but is helpless about what the situation is turning into. The signs come in two basic varieties. Some are cartoons, often drawing their inspiration from Western movies or TV shows, which lampoon the Syrian government and its allies, notably Russian President Vladimir Putin. Others are straightforward, text-only banners that call for NATO intervention in Syria or arming the rebel Free Syrian Army (FSA). Many of the signs are written in English. The anti-interventionists are repeating their mistakes over the Libyan revolution blunder-for-blunder over the Syria revolution. In place of their attacks on the Libyan NTC, they denounce the Syrian Nation Council (SNC); they dwell on the Free Syrian Army’s (FSA) U.S. backing, just as they painted Libya’s rebels as tools of the CIA; instead of “hands off Libya,” they put forward the slogan “hands off Syria,” as if Syria’s death squads were Uncle Sam’s handiwork and not Assad’s. Hyperbolic condemnations of the FSA, SNC, or the coordinating committees do nothing for Syrians whose lives do not depend on the anti-imperialist credentials of these groups but on whatever assistance they can provide. Similarly, criticisms that the Syrian revolution should rely less on armed struggle and more on strikes by workers have a questionable relationship to reality at best. Since when has a strike ever stopped a death squad from breaking down a door and murdering a sleeping family or prevented a civilian neighborhood from being shelled by artillery? Does anyone seriously believe that the Syrian struggle is being led astray by trigger-happy gunmen (most of whom are working for Assad, not against him)? Our first duty in the West is to do whatever we can to aid, abet, and provide material support for our Syrian brothers’ and sisters’ fight against the Assad regime. Our main enemy is at home in the West, but theirs is not. Washington, D.C. is not sending death squads door-to-door to execute women and children, the regime in Damascus is; the Pentagon is not shelling civilian targets and killing journalists in Homs, the regime in Damascus is. Their main enemy is at home, just as ours is. 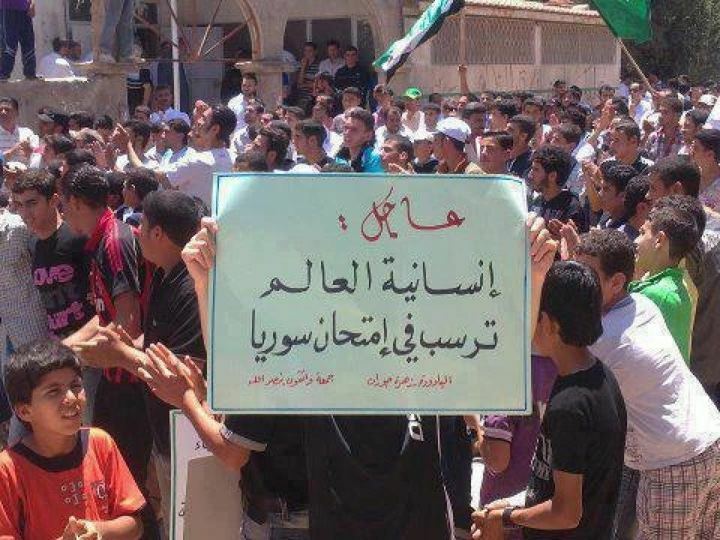 Banner from Daraa reads: Breaking: World’s humanity fails at the Syrian test. This grim reality must be our starting point in any discussion about Syria, not a hypothetical U.S. military action down the road, the contours of which cannot be known in advance. We cannot have the same attitude towards U.S. airstrikes on Assad’s forces and a full-scale ground invasion of Syria because their impact on and implications for the revolution would be completely different. The contours of imperialist intervention must shape our attitude towards it. Sending the FSA small arms and anti-tank missiles or video cameras is not the same as sending American marines into the streets of Damascus, although they are all forms of U.S. intervention. Syrian revolutionaries know damn well what atrocities Uncle Sam is capable of – Iraq is right next door – and the Arab world knows better than we in the West ever will what the colonial boot feels like. To lecture them of perils and pitfalls they know better than we do is to insult their intelligence. To pretend that we know the dangers of dealing with imperialist devils better than Third World revolutionaries do is a kind of white anti-imperialist’s burden, and its arrogant paternalism is just as misguided as its colonialist antipode. We have no business criticizing the SNC, FSA, or the coordinating committees unless and until we have fulfilled our first duty by matching our words of solidarity with deeds and acts that can make a difference in the revolution’s outcome, however small they might seem. Thank you all for the kind words, but the award goes to Syria! Last night, there were many explosions heard in the city of Damascus, gun shots heard in my neighborhood, it has become the norm to fall asleep when hearing clashes in my neighborhood. We spent the night watching footage of a new massacre in Qubair, Hama, that followed Houla massacre couple of weeks ago. I am writing this to tell you that it’s not easy to write a simple speech for such a kind and humbling event when all this is happening in your day. Then I figured, writing what prevents you from writing, paves the way for you to write. 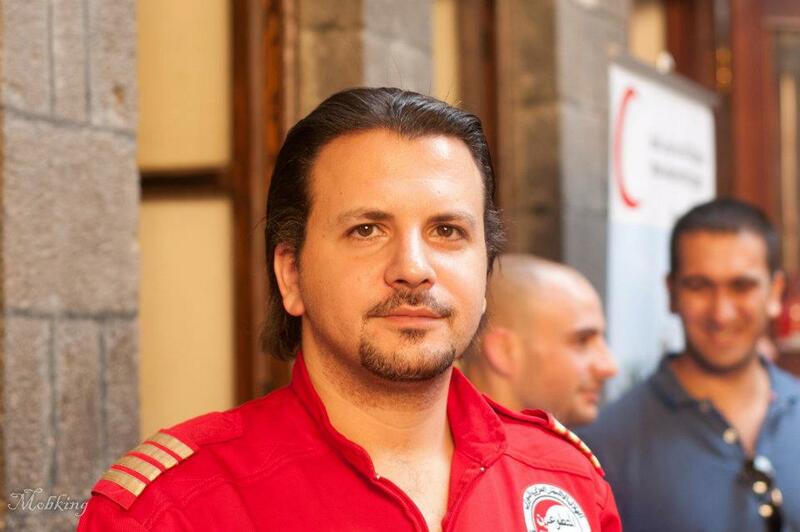 Beautiful friend, Bassel Shehada, martyred by a mortar grenade in Homs on 28-5-2012. 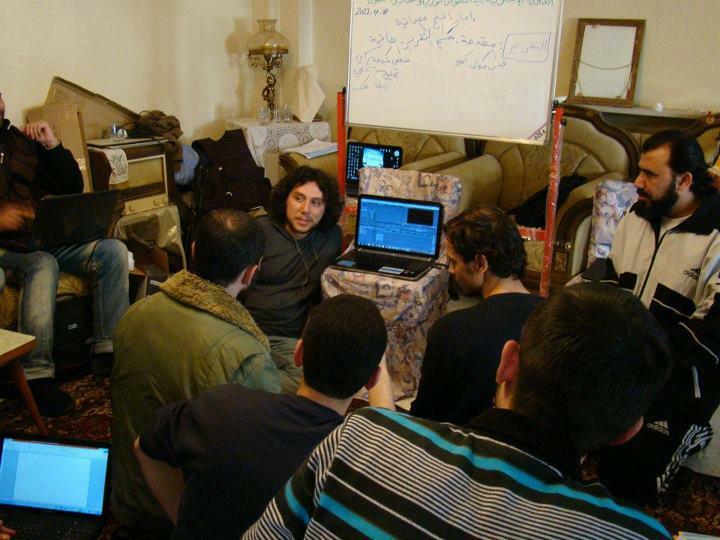 In this photo he was training activists in Homs on how to use the camera to cover regime violations of human rights. Bassel Left Fulbright scholarship to study film-making in the US and chose to be in Syria at this “historical moment,” as he once told me. There is a common feeling that is generally discussed in Syria, well, at least in Damascus where I live. It has to do with the question “what can I do more for the revolution?”. Most of the people around me have this feeling of guilt. They feel that they can do much more, but there are bigger obstacles, and I guess we’ve found out later that we’re all busy with what we’re doing at the moment, and we face the bitter conclusion that’s best to finish one thing at a time. Multi-tasking is both dangerous and energy consuming, and one thing we learned from this revolution is that energy is gold that needs to be cherished and saved for worse times. This feeling of guilt hovers around the detainee inside her/his prison cell, hovers around the many activists in-hiding or forced to leave the country for being wanted by many security branches, it hovers around the ones who sleep 4 hours every night (I personally know a female activists like this). It practically hovers around us all. This feeling of guilt never leaves our souls, no matter what we do, no matter how many times we get detained, we still feel we could do much more. What can I do more? and what are these obstacles that are preventing me from doing more? I can write about those amazing revolutionaries who left their families and children and living solely for this revolution, you see them making jokes and smiling at demonstrations, some were detained and tortured, you stand listening to them speak about their experience with detention, and you know that what you witnessed from detention is nothing compared to theirs, those unknown activists, the unprivileged, who don’t have facebook nor twitter, but they are the very ones who inspire you and make you truly believe, that there is hope. The three young men from left to right are: Joan Farso, Bassam Al-Ahmad and Ayham Ghazzoul, my colleagues at the Syrian Center for Media and Freedom of Expression, detained on 16-2-2012 at Air Force Intelligence then at Fourth Band that’s headed by Maher Al-Assad. Released on 12-5-2012. 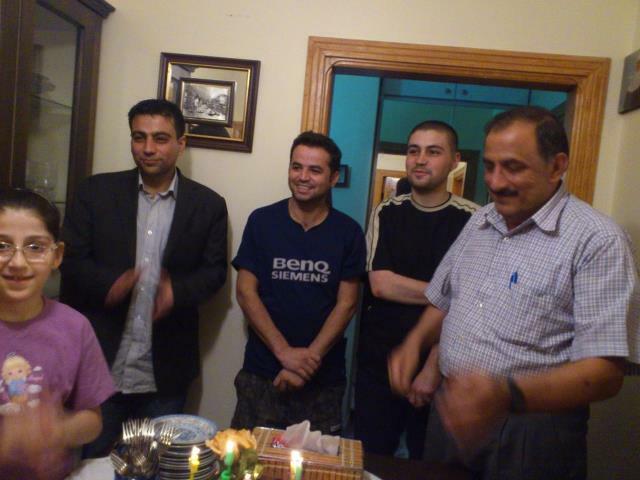 Family celebrating their release in this photo.